In the seventh in a series of posts from authors of 2018 books entered for The Story Prize, Scott O'Connor, author of A Perfect Universe (Scout Press), shares his exploratory writing process. My little office is on the second floor of our house and features wonderful sunset light through the western-facing window and incredibly low, sloped ceilings that make the space feel like that vanishing-point room in Willy Wonka and the Chocolate Factory. The slopes are good for both regular concussive encounters with my forehead and using as a display board where I tack up images, maps, sketches—anything that inspires or speaks to what I’m writing. Currently, the slopes are covered in multicolored Post-It notes, which look like the far-flung neon shrapnel from some kind of cartoon explosion. They are, in fact, remnants of a violent blast—the fragmented pieces of the novel I’ve been writing for the past two years. And although the notes’ colors really liven up the room, they don’t do much for my current state of mind. 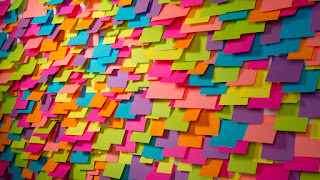 The Post-It eruption isn’t a tool to tweak the book’s structure, or to clarify different character arcs or plotlines. The notes are up there because, frankly, I don’t know what I’m doing with this book. Or, more precisely, I thought I knew what I was doing, but finally realized I hadn’t yet written the book I wanted to write. 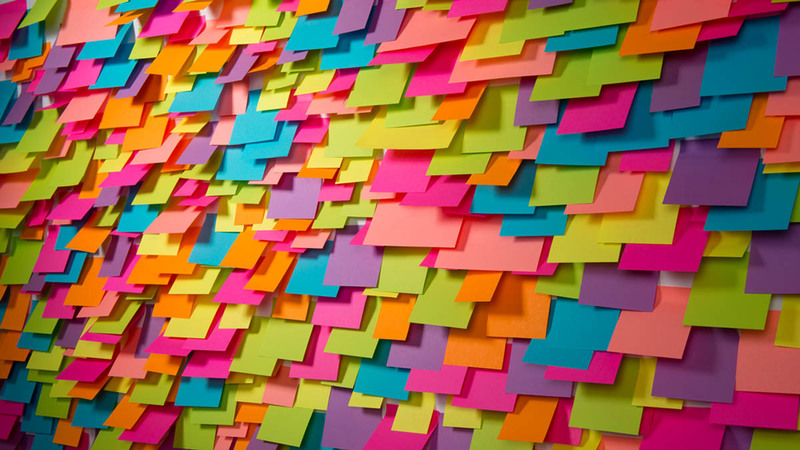 So I sit at my desk, or lie on the floor, or pace the room and stare at the Post-Its, or ignore the Post-Its, or try to see them from some new, magical angle that will help the whole enterprise fall into place. I’ve been doing this for about a month now, believing that if push myself hard enough I’ll find the answer. But all I’ve really discovered is how much anxiety this insistence on finding the answer causes. I’m figuratively (and literally) banging my head against the wall. Maybe what I really need to do is take the advice I so often and enthusiastically give to students, fellow writers, anyone who’ll listen: Embrace the uncertainty. There’s a scene in my first novel where a lonely, bullied boy finds the remains of a burned-out house. One night he gathers his courage and a flashlight and begins to explore. All he can see is what the narrow, flickering flashlight beam reveals: a seared coffee table, a blackened couch—the objects within a room—and then, slowly, the walls and floor and ceiling, the parameters of the room itself. As he moves along, one room adds to another, creating the house in its entirety. Only then is this space revealed as the place the boy has been looking for all along, a secret refuge from the troubles and dangers in his life. But at first it was just that table, that couch, that wall. Writing is like that, I think. We step into a dark house with our flashlights and move forward one step or word or sentence at a time. Sometimes the living room is just like we imagined. Sometimes it’s completely, disorientingly different. Sometimes we realize this isn’t even a house at all. We’re not sure what it is. But there’s only one way to find out: Keep moving, one step at a time, shining that beam around. Which is not to say that some writers don’t plan ahead, whether through a full outline or a sketch of the next scene or chapter. But even those maps are of places that don’t yet exist. There are dangers, of course. You could take a wrong turn and wander aimlessly for months or years. You could discover that this thing you’re writing won’t ever work. But at some level that’s why we do it, for the risk, the thrill and danger of discovery. So much of life is about avoiding or managing risk, about being certain. Writing is the place where we get to live another way. It’s easy to look at our favorite novels and stories and believe that they arrived in the world that way—fully formed, many-layered, confident. But of course it’s just not true. And that way of thinking is not only self-defeating but a disservice to those writers who also groped around in the dark for what must have seemed like forever, searching. So I’ll embrace the uncertainty. I’ll keep rearranging the Post-Its on the ceiling, and approaching (sneaking up on?) them from different angles, but I won’t expect any singular moment of insight. I’ll try to stay true to the spirit of that kid in the burned-out house, understanding that answers don’t always reveal themselves at once, and certainly not on demand. Instead, they come one step—one room—at a time.